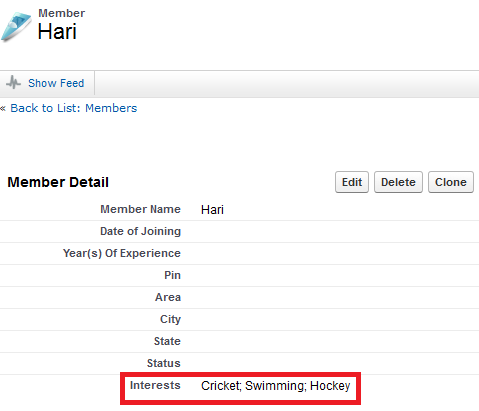 Here Member__c is my Custom Object and Interests__c is a multi-picklist field. how can we delete the saved multipicklist values in salesforce using apex? Quick, easy to read, and saves about ten lines. I have spent 7 hours trying to work this out, and it was your post that fixed it for me. Both methods, but I went for the String.join to cut down on the code lines.